Langkawi is one of the best ways to fully experience the island’s rich history and verdant sights. Enjoy the legends and attractions in this paradise Island. Among the highlight of the visit are Atma Alam, Kuah Town, Eagle Square, Cenang Street and Agro Technology Park. 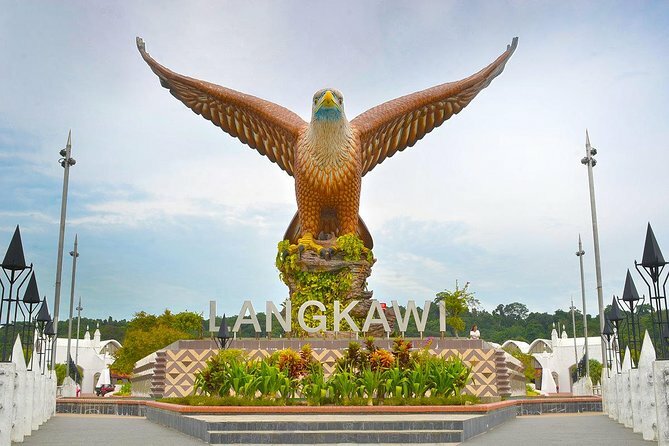 During this tour you can have Langkawi Duty Free Shopping Experience. Mardi Agro Technology Park Langkawi - The Park is located next to the Lubuk Semilang Recreational Park in Padang Matsirat . Although the overall objective is to research in agriculture and livestock breeding, the main attraction here is the vast fruit plantation stretching with sweeping views of the catchment forest reserve Gunung Raya. Atma Alam Batik Art Village - Atma Alam Batik art village is a batik Centre especially designed to attract tourists and promote the art of batik in Langkawi. Located in Padang Matsirat designed a half acres in the Center as a place to showcase the creative spirit of batik. Cenang Street - Pantai Cenang is the busiest beach town on Langkawi Island, where you can find a diverse mix of cafes and restaurants, as well as souvenir shops, and duty-free outlets along its picturesque beach strip. Just a 10-minute drive from Langkawi International Airport, it’s a popular holiday destination for travelling families thanks to its kid-friendly attractions such as Underwater World Langkawi, Rice Garden Museum, and Kiki Club at Meritus Pelangi Resort & Spa. Eagle Square -Dataran Lang also known as Eagle Square, Dataran Lang is one of Langkawi’s best known manmade attractions, a large sculpture of an eagle poised to take flight. The 12 metre-tall statue is one of the island’s most instantly recognizable monuments. If you’re intent on carting off duty-free alcohol, cigarettes and chocolate, then can stop for some quick duty-free shopping in Kuah Town. Kuah Town - Kuah town, Langkawi is the largest city in the southeast of the main island. It is a place where one can see little traffic heavy as compared to beaches such as Pantai Kok or Pantai Cenang. You will realize that duty free shops only and anywhere along the way and it is really what makes the city attractive. When you leave the Kuah Town, your tour ended with the hotel drop-off.